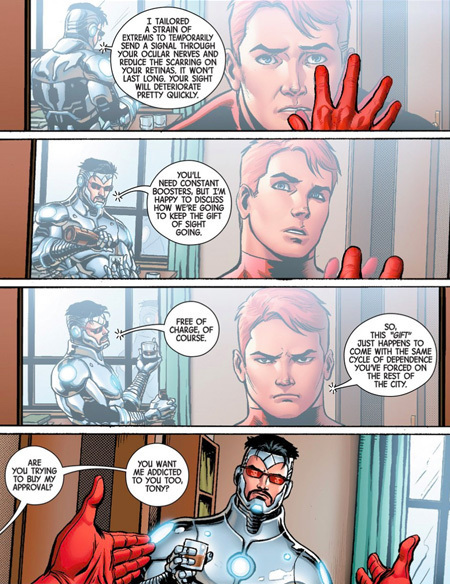 Iron Man is well, a jerk. It is one of the three defining elements of his personality, and the other two are punching and alcoholism. 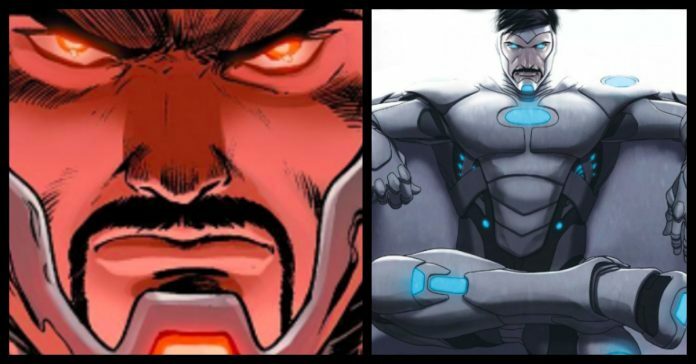 In the Superior Iron Man series, Marvel had decided to take this to a whole new level, and he designs a “freemium” phone app. The storyline shows us Stark traveling to The City By The Bay, and he then decides to contaminate the water supply with Extremis virus, which gives all the people Wolverine-like healing capability. He then lies to everyone and tells everyone that the newfound health was due to a free phone app that he had designed. After the population was addicted, he says that it was a free trial and then forces people to pay a daily fee of $99.99. This does not have a lot to do with crimefighting. This is why Daredevil had tried to kick Stark when he discovers this plot. Daredevil is a superhero and a lawyer and surely knows illegal things when he sees it. RELATED: The Time When Iron Man And Black Widow’s Intimate Video Was Released, Here’s The Story. Having still been convinced that he is on the right path, Stark infects Daredevil with this virus, and it restores Daredevil’s sight. The cure is just temporary, and Stark wants Daredevil to see what he is doing. Daredevil is not very easily bribed, and he then promises to shut down the operation. 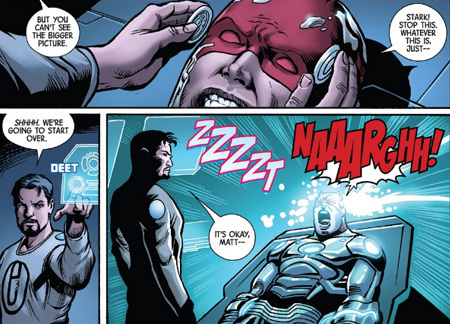 Stark then ties down Daredevil and gives him an electric shock. Iron Man is a Silver Age comic hero, and he is the founding member of the Avengers. It then ends with Matt waking up at the hospital, and he is confused and cannot remember why he is there. 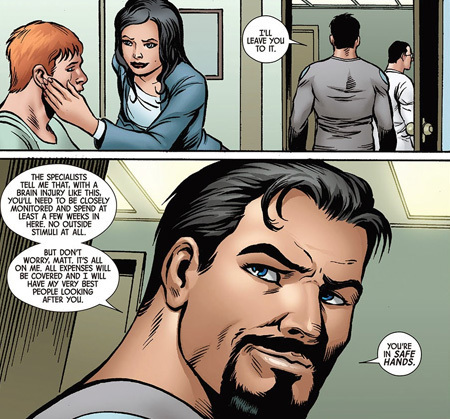 Stark pays his hospital bill and then walks out.